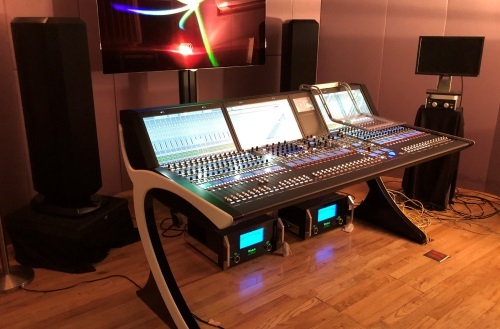 Digital production audio console chosen to manage live services and broadcast post-production for its online community. Located in Lafayette, Colorado and with an average weekly attendance of close to 19,000, Flatirons Community Church has installed a third-generation mc²56 digital production console from German IP innovator Lawo to advance its live services and post-production for its online community. 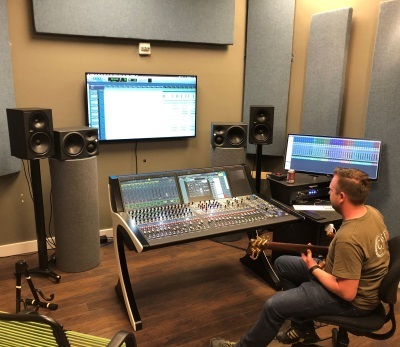 Flatirons’ established workflow records directly to a Pro Tools HD system from the church’s Dante distribution network – and now feeds the Lawo console as well. Integration with the existing Dante layer required minimal changes to the existing system, as the console’s Nova73 Compact Core supports 256 channels of Dante I/O. Consequently, the new workflow is able to use the same Waves plugins and DSP settings for two days of rehearsal and two further days of recording. “The expectation is to remove at least two days from the post workflow compared to sending the audio files out of house for remix,’ Boynton explains. “Some processes that we are still working on implementing include AFV [audio-follows-video] triggering, synchronized machine control over multiple playback devices, mxGui configuration, and advanced editing of dynamic automation. It is extremely impressive how the console can be configured to act in a variety of different environments,” he continues. Boynton concludes: “Lawo has always been a front-runner in large-scale audio production and networking realms, and also has a strong backbone and passion for quality music production. The consoles are built with music in mind, just as much as signal distribution and management. The mc²56 is not just a broadcast console, it’s built with character as well.